Thanks to increased chicken and pork consumption, per capita meat consumption in the U.S. rose at the fastest rate in four decades last year. According to data from Rabobank, a Dutch bank that focuses on the agricultural industry, the average American increased their annual meat-eating from 184 pounds of beef, pork and/or chicken in 2012 to 193 pounds in 2015. If current trends continue, Rabobank projects that by 2018 meat consumption will reach a record high of more than 200 pounds a year per capita. Will Sawyer, an animal protein analyst with Rabobank and the author of the report, told me that the main reason for the 5% increase in per capita meat consumption last year was that with feed prices down, meat companies have been expanding their businesses. The strength of the dollar is also allowing imports to swell. According to Sawyer, while the the price of meat is "somewhat important," for most Americans, grocery store meat is not a luxury item and it isn't really going to blow their budget or determine the trajectory of the industry. He said what has made an impact is consumers' growing belief that poultry is healthier and more environmentally friendly than beef. "The basic story is that in the last 10 years the industry had really high feed costs," he said. "Corn and soybean prices were up, driven by China and ethanol policy, but now they've come down and meat companies have been making pretty good money for a couple years now." Because of these macroeconomic changes, meat consumption in the U.S.—which fell by nearly 10% since the mid-2000s—will likely continue to increase for the next few years until it reaches a new record per capita high and the market is saturated. Sawyer said even as the overall meat industry grows, consumer demands on quality are changing the lay of the land. "It's not about being low-cost anymore," said Sawyer. "At one point the anti-antibiotics, organic, free range, grass-fed movement could just be dismissed as being for tree huggers. That's changed significantly over the last five years." Sawyer said this is where the impact of advocacy and consumer groups has been felt the most. "The Walmarts, McDonald's, and Chick-fil-A's have had to change their ways because meat production companies have had to adopt better policies," he said. Sawyer said that consumers today, especially the younger generation, want to know much more than just nutritional facts: They want to know where the food was produced, by what kind of company, and with what sort of corporate code of ethics. Even as consumers learn about the dark underside of the industry from countless investigations and documentaries like "Cowspiracy" and "Food, Inc.", the percentage of people who've gone vegetarian or vegan remains relatively small. "Are vegetarians more common now than five years ago, sure," said Sawyer, noting that they still make up less than 5% of the population in the U.S. He said that "coastal urban areas" are where consumers are making the strongest demands on food companies, and that the product that's offered in these regions is very different than what's offered in the rest of the country. Sawyer said that less than 2% of meat in the U.S. is organic. As demand shifts and that number grows, food companies will have to find new ways of sourcing organic grain, which right now often comes from international markets. While animal welfare improvements slowly infiltrate the food system, the meat industry's massive contribution to greenhouse gas emissions is yet to become a mainstream priority. Global greenhouse gas emissions from livestock are greater than that of the entire transportation sector—cars, trucks, planes, trains, and ships—and compose around 15% of planet’s annual emissions, although some estimates place the number much higher, even approaching around 50%. Livestock emit a lot of methane, an extremely potent greenhouse gas, while deforestation for agriculture, fertilizer use, and soil nutrient depletion give rise to more carbon dioxide in the atmosphere. One of the drivers of all these environmental issues is the amount of feed it takes to produce the meat. According to Vaclav Smil, scientist and author of the book Should We Eat Meat? 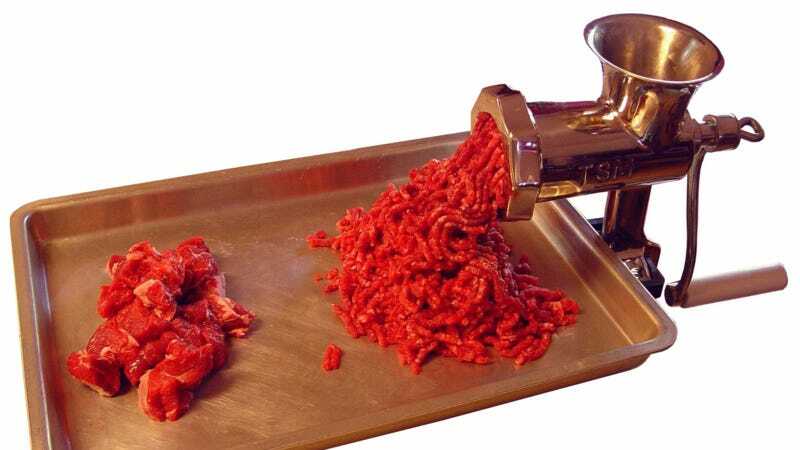 Evolution and Consequences of Modern Carnivory, it takes 3.3 pounds of feed to produce a pound of chicken meat, 9.4 pounds of feed to produce a pound of pork meat, and 25 pounds of feed to produce a pound of beef. So by this metric, chicken is a lot better for the environment that beef, which also requires a lot more water than other meats. While U.S. meat consumption may be growing slowly, in fast-developing countries like China, meat consumption could increase by as much as 50% by 2030. This would have not only negative health impacts, but detrimental environmental and climate change consequences. In order to get ahead of this reality, earlier this year Chinese health officials introduced dietary guidelines issued by the government aimed at lowering the average amount of meat a Chinese person eats every year from 63 kilograms (138 pounds) to between 14kg (39lbs) and 27kg (60lbs) by 2030. These same type of guidelines could be helpful in the United States, but the strength of the meat lobby has hindered progress in confronting the industry at a policy level. For many low-income populations, meat selection in grocery stores is extremely limited in quality and variety. In these "food deserts," low-quality meat or fast food are often the only economically feasible options.